Hey everyone, it’s Crystalin from the blog Crystalin Marie! I’m so excited to be filling in for Khatu while she’s on vacation (so jealous). For those of you who are unfamiliar with my blog, I talk and wear a-whole-lot of denim. Like A LOT. Seeing as though fall is just around the corner (anyone else excited? 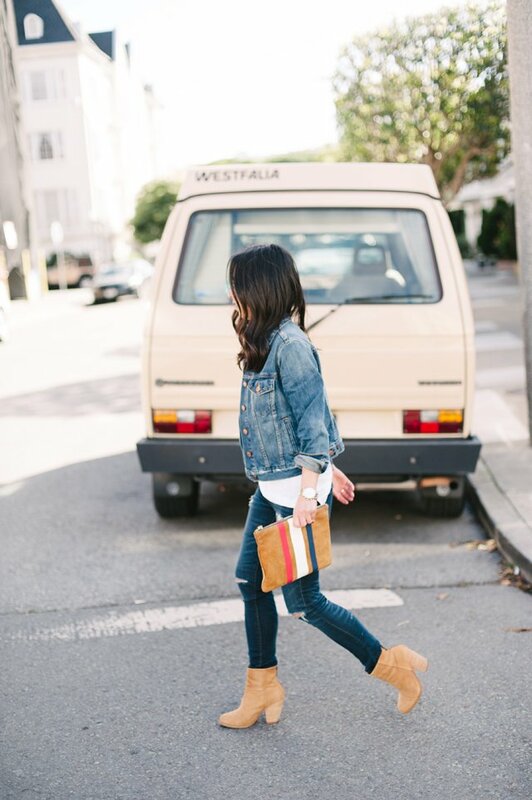 ), I thought I’d talk about my favorite fall piece, the denim jacket. Although I’m a fan of this trend all year round, there’s something so classic and perfect about the autumn leaves, cooler weather, and denim jacket combo. 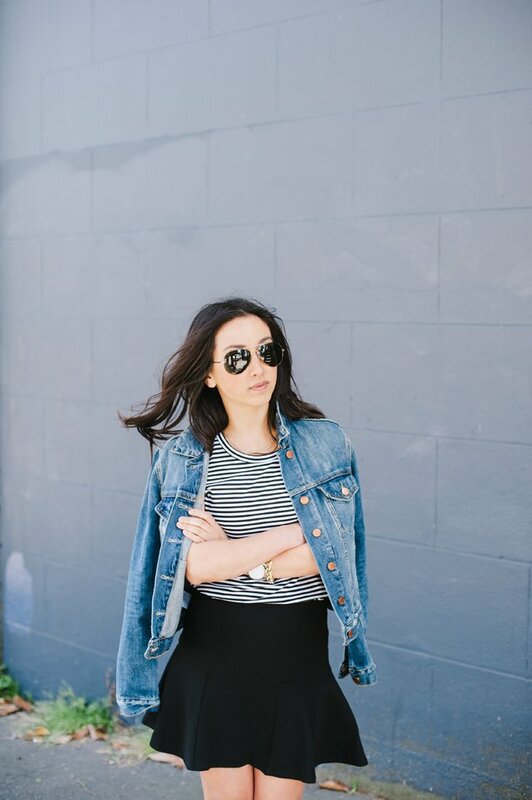 For me, denim jackets are one of the most versatile pieces in my closet. I tend to reach for them to dress down an outfit and they're my go-to layering piece to complete a look (but then again, I could wear a denim jacket with just about every single outfit). I've been rotating between the three jackets I’m wearing above, but I have a feeling I’ll make room for a couple more this season. I love this fun take on a more classic style, this distressed version, and can always count on Gap for really classic and soft styles. Anyone else can't live without a denim jacket in the fall? Fall is defn my favorite season when it comes to clothes! 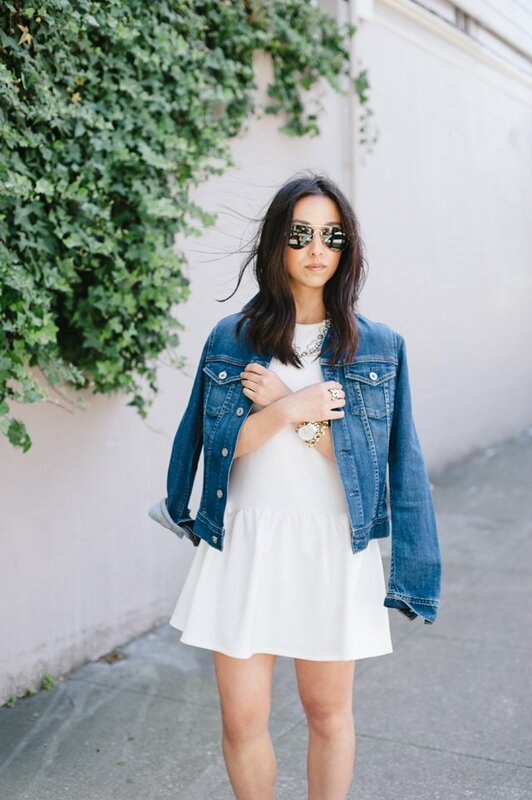 so love a good denim jacket!